Although water is essential to life, people “often overlook how important it is to protect and preserve our limited supplies,” a Sarasota County news release says. That is why members of the public are being invited to register for the Florida Waters Stewardship Program, so they can learn how they can help, a county news release says. Offered by the University of Florida/Institute of Food and Agricultural Sciences Extension (UF/IFAS) and Sustainability Program in Sarasota County, this eight-session course will provide presentations by subject matter experts, hands-on learning, field training and communications exercises “to give participants the tools to become stewards of the area’s water resources,” the release explains. Sept. 13: Watershed Basics and Stewardship, to be held at the UF/IFAS Extension and Sustainability Program facilities in the Green Building at Twin Lakes Park, located at 6700 Clark Road in Sarasota. Sept. 27: Water, Then and Now; location to be determined. Oct. 11: Stormwater in Sarasota County; Audubon Nature Center at the Celery Fields off Fruitville Road. Oct. 20: Water Supply, Demand, and Groundwater; Carlton Water Treatment Plant. Nov. 3: Wastewater Management; Bee Ridge Water Reclamation Facility. Nov. 15: Water Issue Panel Discussion; location to be determined. Nov. 29: Communicating Water Stewardship; South Venice Civic Association. 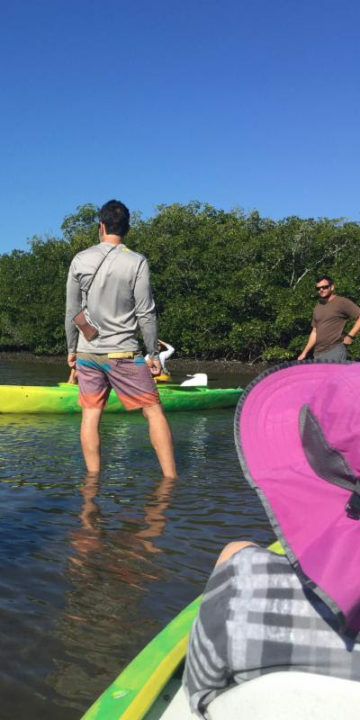 Dec. 3: Graduation and guided kayak tour; Historic Spanish Point in Osprey. This $125 course is open to the public, though seating is limited, the release points out. Scholarships and government employee discounts are available. Learn more and register early at http://rebrand.ly/ufsarasotaext_waterstewards to reserve a spot. For more information about this course or available scholarships, contact Water Agent Abbey Tyrna at atyrna@ufl.eduor call 861-9818.